A panel of speakers will explore Christian approaches to mission, Muslim approaches to Dawah and the possibility of shared witness. 9th September, 7pm start at Wheeler Hall, St Anne’s Street, Leeds LS2 4BS. 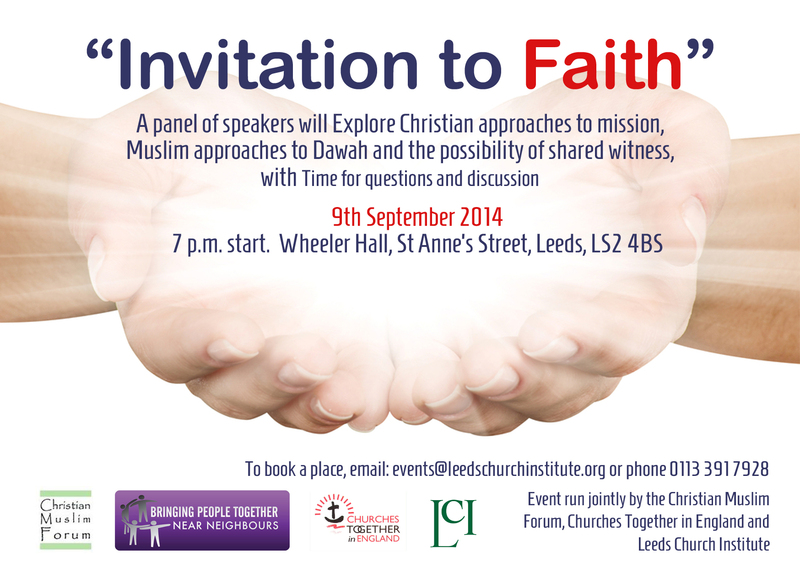 To book a place email events@leedschurchinstiute.org or call 0113 391 7928.